When it was my turn, I went to the front of the class. I normally dreaded speaking in front of a group, but though I was nervous, I spoke passionately about my favourite book. It was not like the others, and when I finished, I could see that the class and teacher were not sure how they were supposed to react. 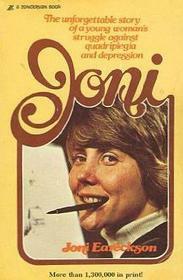 The book was ‘Joni’, by Joni Eareckson-Tada. It is the autobiography of a Christian who was paralysed from the neck down after a diving accident at the age of seventeen, and how she comes to terms with her disability. The story gripped me from the beginning; how would I respond if I were in that situation? It was fascinating because of the emotional complexities that she explored: her hope, her disappointment, her depression, her relationship with God. I also loved it for its outcome: a happy ending that was not dependent on her healing but on her outlook and trust in God. Twenty years on, and I now find myself disabled and encountering similar emotional and spiritual wrestlings. I wonder at my twelve-year-old self choosing that book above all the others. Could it be that God placed that book prophetically in my heart? As I think back now, it is not so much the words that leave the impression in my mind but the pictures. She is an immensely talented artist, and (re)learned to paint using only her mouth, holding the paintbrush in her teeth. Her paintings are detailed and beautiful. As I look at them now, I see not only the aesthetic artistry of the images, but the beauty of suffering. This is the hidden, powerful beauty that comes from painstaking discipline and endurance. There is meaning and value and depth and intention in every stroke of the brush. Her character is as her paintings; beauty wrought from affliction. My twelve-year old self saw that a little; I now see it more. I look at those pictures, and it gives me hope. Hebrews talks about being surrounded by a ‘great cloud of witnesses’, those Old Testament heroes and heroines of the faith who inspire us to ‘run with perseverance the race marked out for us’ (Heb 12:1). We all need the example of great women and men of God who have gone before us, who can help us to keep our eyes fixed on Jesus. Joni is definitely in my ‘cloud of witnesses’. Who is in yours? 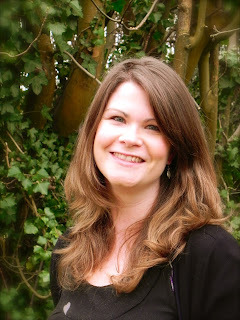 Tanya Marlow is passionate about teaching the Bible, answering tricky questions of faith and training others to do this. In the past she has done this in student and church ministry and as Associate Director of the Peninsula Gospel Partnership (PGP) Bible training course. Right now she does it by reading Bible stories to her toddler, as she learns what it means to be a stay-at-home mum who is also housebound with severe M.E. 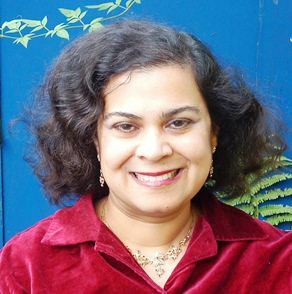 Her blog is called Thorns and Gold: on the Bible, illness, emotions, life. A Spider or a Bee, which Species of Blogger are you? I loved reading Joni's biography, and I was challenged and inspired by her devotion to God and trust in Him. I never imagined what it would mean to someone with a similar disability. Thanks for sharing!